After touring the Alesia Museum we headed up the hill to where Vercingetroix and his army encamped. In September of 52 B.C. Caesar laid siege to the hilltop fortress where 80,000 soldiers along with the local population were living. 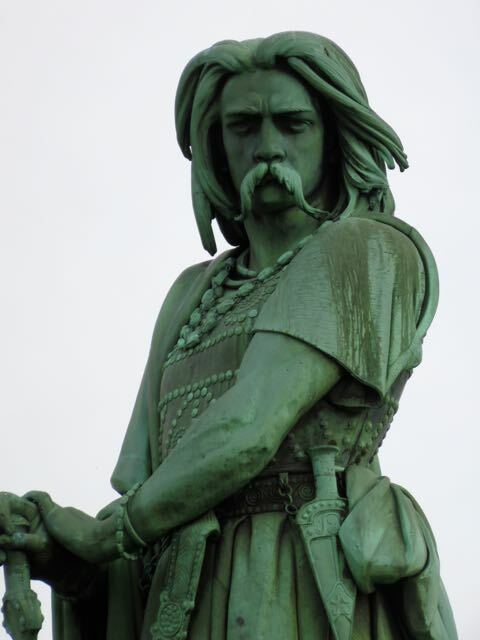 In three weeks he built 18 kilometers of 15 ft. high revetments and 12 ft. deep ditches trapping Vercingetroix and his men. Soon they began to run out of food and other necessities. Eventually they expelled the women and children from their fortress, and sent them down the hill in hopes that Caesar would let them go free. Caesar would not allow them to leave, and thus they were left to starve in a no man’s land between opposing forces. 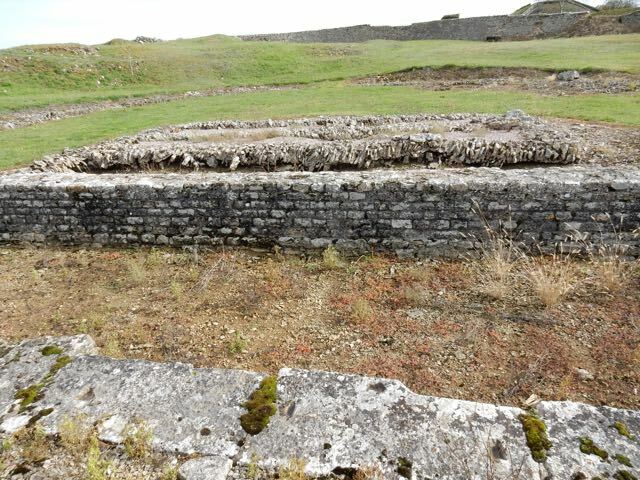 There was nothing left of the encampment constructed by Veringetroix, but there are the ruins of a Roman town built shortly after the battle of Alesia. For a small entrance fee you can wander through this 2,000-year-old city with few barriers or fences to stop you from inspecting the remnants of a Roman Village. I’ve always found Roman ruins to be some of the most interesting ancient remains that we have seen. For their time they were far more advanced or ingenious than any other civilization. 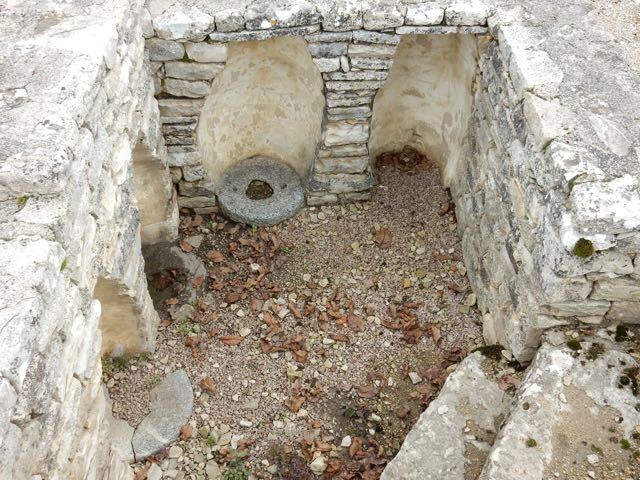 They even had forced air heating in their homes known as a hypocaust system. It consisted of a large hearth where a fire was made, and the subsequent hot air was then circulated under the floor and in the walls of the structure. Part of the bronze furnace. 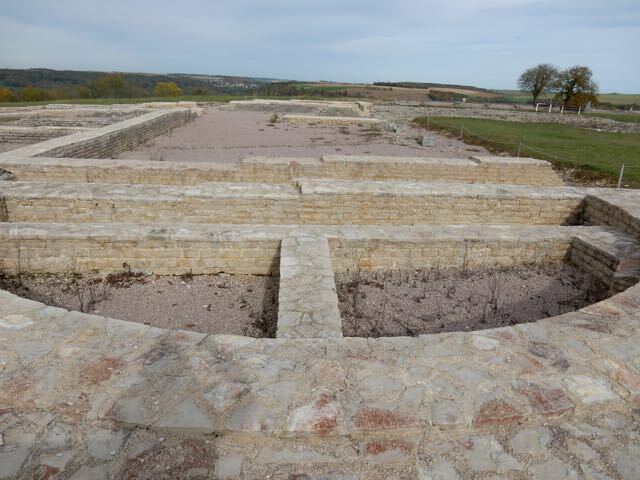 There were also the remnants of an amphitheater, bronze furnace, temple, and storage rooms for wine and food. As you walk around the ruins it becomes apparent that city planning was given a great deal of thought. The location and orientation of the government building, amphitheater, and homes were such that a modern day person would feel right at home. 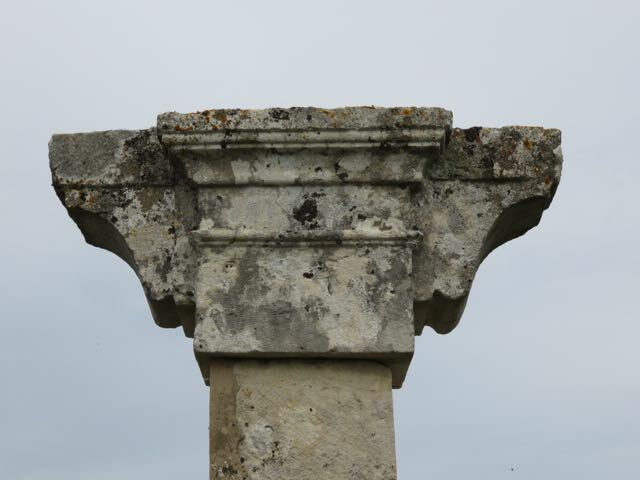 A Roman capital used to support a wooden balcony. 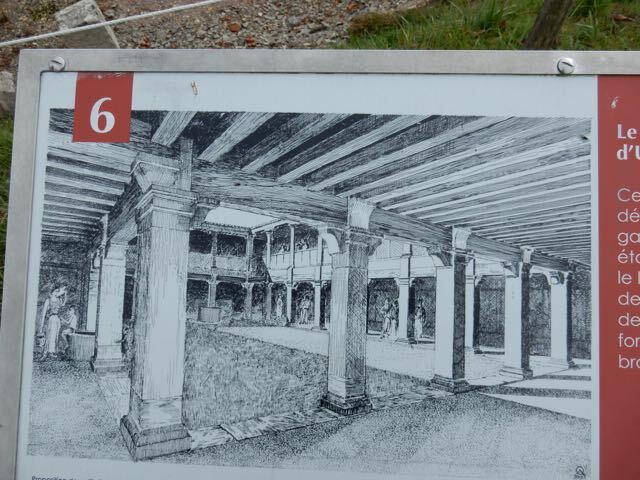 A drawing of the wooden balcony surrounding the main square. The structure in the foreground is the amphitheater stage. The mounds in the background are where the seating for up to 5,000 people was. 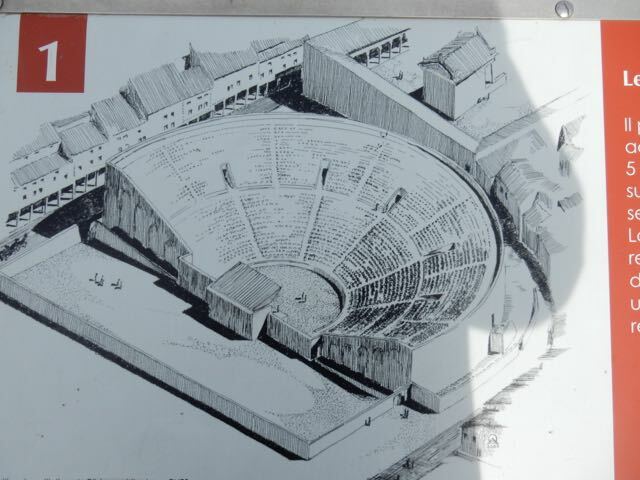 A drawing of the amphitheater. 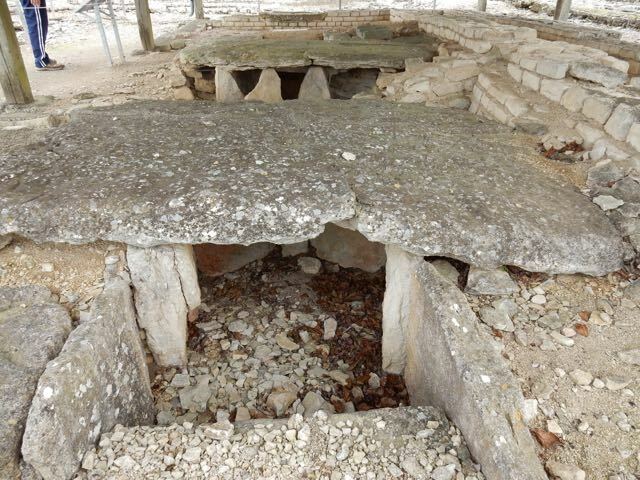 An ancient wine cellar. Note the wall cutouts where large amphora were placed. Not far from the Roman ruins was a magnificent bronze statue of Vercingetroix looking out over the valley below. It is close to this statue where eventually a second museum will be built. The exterior of the Alesia museum that we visited was covered with large wood timbers to represent the materials the Romans used. The museum on the hilltop will be made of stone to represent the material the Gauls used. 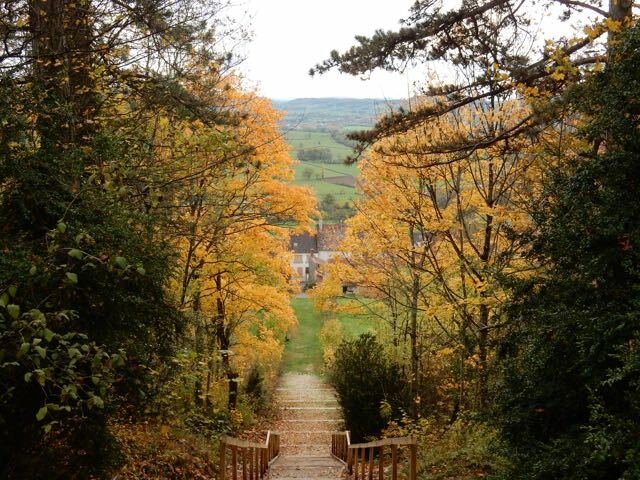 We especially enjoyed the fall leaves, and views from the top of the hill looking over a verdant green valley. For most of our stay we had the entire village to ourselves. 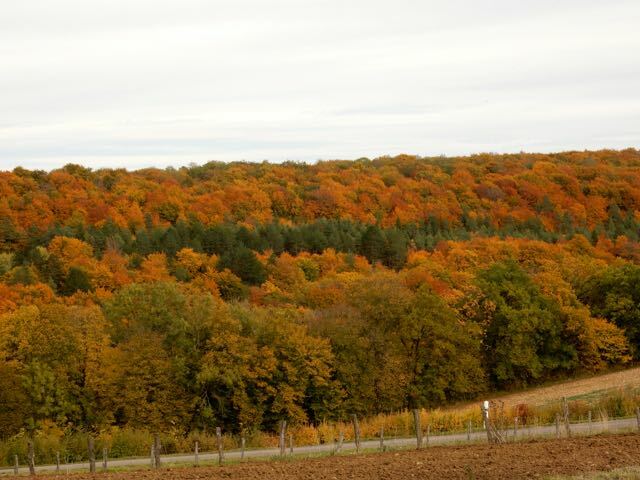 While the fall weather in Europe can be unpleasant, if you’re lucky the weather just might cooperate and then you will be treated to a special time without the crowds or stifling heat of summer. A bronze statue of Veringetroix.